ECONPILE HOLDINGS BHD may have had to sacrifice profit margins to secure jobs in the past, but this will not be its strategy going forward. Group CEO Raymond Pang says the piling and foundation specialist will be more selective in choosing new jobs and will place more emphasis on profit margins rather than the size of its order book. He adds that the company is looking to widen its net margins by 2% to 3% in the financial year ending June 30, 2015 (FY2015). It had already achieved a net margin of 8.9% in the first quarter ended Sept 30, 2014 (1QFY2015), compared with 7.4% in FY2014. In 1QFY2015, Econpile posted a net profit of RM9.51 million, on revenue of RM106.3 million. Pang believes its net profit margin growth will be sustainable because he expects costs and raw material prices to remain stable. Furthermore, it will focus on mixed-use developments that offer wider profit margins, he tells The Edge. Econpile (fundamental: 1.6; valuation: 0.3) recently bagged the single largest contract in its 28 years in the piling business. It announced two weeks ago that it had secured a RM128.9 million contract from Damai City Sdn Bhd for foundation and substructure works for a mixed-use development comprising a hotel, serviced and branded residences, and a retail podium in Jalan Conlay. The latest contract brings its order book to about RM500 million, which is expected to keep it busy for the next 18 months. The value of its tender book stands at RM1 billion. News of the record-high contract lifted its share price in recent weeks. The stock hit a low of 73.5 sen in mid-December but rebounded to RM1 on Jan 22, 2015. It closed at 94 sen last Thursday, giving it a market capitalisation of RM502.9 million. Judging from its current flow of jobs, 2015 will be “very positive” for Econpile, says Pang. He doesn’t expect the implementation of the Goods and Services Tax in April to have much impact on the company’s margins as it will be able to pass any additional costs to its customers. Econpile made its debut on Bursa Malaysia in June last year. The company and its rival, Pintaras Jaya Bhd, are the only piling players listed on the local stock exchange. Other local piling players include Geopancar Sdn Bhd and Sunway Group’s Sunway Geotechnics (M) Sdn Bhd. Interestingly, Pintaras’ (fundamental: 3.0; valuation: 2.1) net margin of 17.9% for the first quarter ended Sept 30, 2014, is double that of Econpile’s 8.9%. Pang says Econpile’s margins had been lower in the past because of the Klang Valley Mass Rapid Transit (MRT) piling work packages. “The MRT project is a major infrastructure project, and due to site logistics and constraints, margins were not what we expected. As we expect to complete our piling works by the first quarter (1QFY2016 ending Sept 30, 2015), overall margins should be on an upward trend,” he says. He adds that as the MRT project is currently at the tail end, Econpile will be able to unlock its resources for “more productive areas”, namely more lucrative jobs. He observes that Pintaras has been selective in its choice of piling jobs, choosing only to pursue those with high profit margins. Besides raising its margins, Pang says Econpile will continue to make itself more competitive and differentiate itself from its competitors by upgrading its machinery, conducting human resources training and complying with environmental standards. While the company has allocated RM15 million from its initial public offering proceeds for capital expenditure purposes, it usually invests RM20 million to RM25 million annually on machinery, such as boring and piling units, excavators and cranes. Econpile has a dividend policy of distributing 20% of its net profit to shareholders. 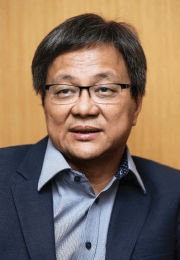 While the company is still very much focused on construction projects in the Klang Valley, Pang says he sees “high potential” in mixed-use developments in Penang Island. “Penang is vibrant and undergoing active developments. Bored piling is generally more highly demanded when high-rises are built in congested areas,” he explains. However, he points out that there is a lack of major projects up for tender in Penang Island at the moment. “We expect tenders [there] to pick up only when there are more developments such as the coastal highway, Batu Kawan projects and so on,” he says, adding that Econpile is in the midst of completing a job for the Subterranean Penang International Convention and Exhibition Centre in the state. According to founder and group managing director The Cheng Eng, Econpile’s performance for 2QFY2015 was “healthy and positive”. Its financial results for that period is expected to be announced on Feb 12. On whether the slowdown in the property market is a concern for the company, The says demand is likely to be sustained for development projects in key strategic locations. According to an Econpile press release in June last year, which cited an independent market research report, the piling and foundation industry is expected to see a compound annual growth rate of 11.5% to RM4.1 billion in 2017, from RM2.38 billion in 2012. Given this data, the industry was estimated to be valued at RM2.96 billion in 2014, giving Econpile a market share of 14%. “In terms of market share by revenue, we are probably one of the largest. We are a market leader in this industry locally,” says Pang. This article first appeared in The Edge Malaysia Weekly, on February 9 - 15, 2015.